A doctor from Sierra Leone has died from Ebola, making him the 10th doctor in the country to have died from the dreaded virus. Dr. Brima Kargbo, Sierra Leone’s chief medical officer, said Dr. Aiah Solomon Konoyeima died of Ebola on Saturday Dec. 6th. Details of how and where the doctor became infected are not known. Of the 11 Sierra Leonean doctors infected with the disease, only one has survived. Konoyeima who tested positive for Ebola 2 weeks ago, worked at a children’s hospital in Freetown, Sierra Leone’s capital. He was being treated at the Hastings Ebola Treatment Center, which is staffed exclusively by local Sierra Leonean medical personnel, before he passed away. 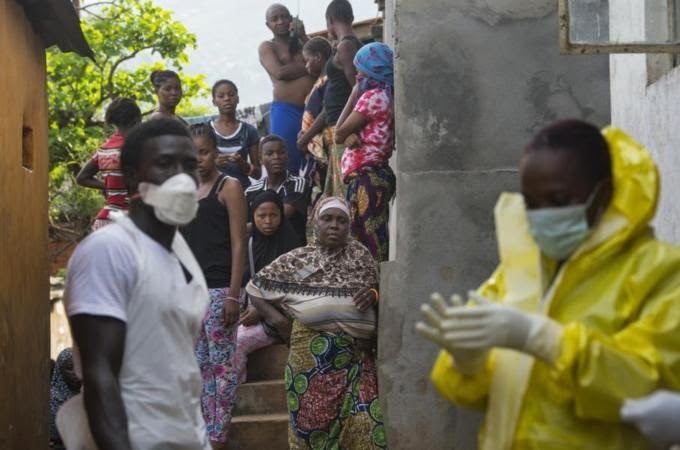 The World Health Organization (WHO) set a 60-day goal on October 1 to isolate 70% of Ebola patients in Liberia, Guinea and Sierra Leone and ensure safe burials for 70% of bodies, which are highly infectious. But in Sierra Leone, only 60% of patients were in isolation by December 1, said Palo Conteh, head of the government’s National Ebola Response Center.